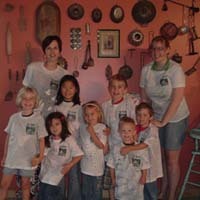 Explore the great outdoors and celebrate a birthday at the same time when you throw camping parties NY for your child. If you have a nature lover in your family, he or she will love one of the New York camping parties listed here. Whether you are looking for skiing in January or kayaking in June, Old Forge Camping Resort is the place for you! Old Forge offers a wide variety of activities from canoeing and fishing to mountain back riding and snowmobiling. 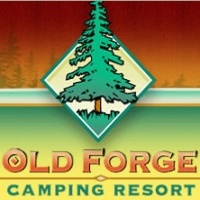 Old Forge offers different areas of lodgings from tent sites to RV camping and everything in between! A free shuttle to and from the beginning village in Old Forge is offered daily. Here you can see their souvenir shops and many different restaurants. So come on down and see what great fun you can have here at Old Forge Camping Resort! 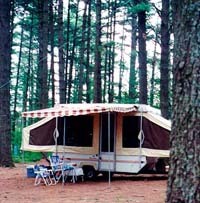 The Daggett Lake Campsites is a wonderful campground which is run by dedicated owners. If you are looking for an asphalt campground which also includes all day babysitting for your cute kids and also has a party atmosphere all night, go somewhere else. The Daggett Lake Campsites are not the place for that. But if you want a place wherein you can reconnect again with your family, you will not be disappointed staying at this place. The lake is really beautiful and clean with an ample swimming area for your kids to enjoy. 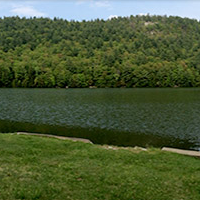 The grass at the Daggett Lake Campsites NY by the lake is really a wonderful place to meet friendly people or just sit by yourself and enjoy the day. The place is a pet friendly place, you have to take responsibility for it. 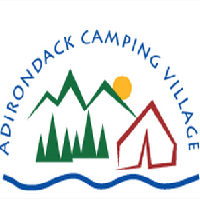 The Adirondack Camping Village is a very nice campground and a very family friendly place. The camp facilities at the place are well maintained and the staff is also friendly. The place has a lot to offer those who are adventurous and want to have fun; there is also a short hiking trail in the woods which the kids will really enjoy. The campsites at the Adirondack Camping Village NY for the most part are really large enough to accommodate two tents. In addition to the great amenities of the Adirondack Camping Village, the kids can have their own tent. 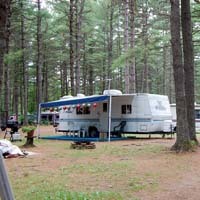 The owner of the place has only a few seasonal campsites which are for any experienced camper as you can make the campground feel more like a trailer park than a campground. 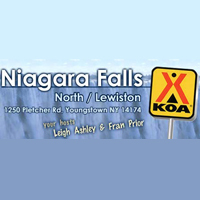 The Niagara Falls North KOA is different from any other camping site. Unlike other camp sites; this campsite is so special because of its closeness to everything you might want to see in the area. 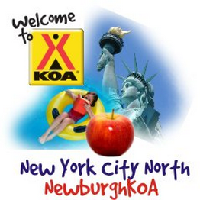 The Niagara Falls North KOA NY also has a lot of fun things that they will offer you to keep you entertained and help you stay away from boredom. While you are enjoying, your kids can have a blast just running around safely at the place and just playing at their unique themed playground. The guests of the Niagara Falls North KOA can also enjoy the swimming pool at the place! Rancho Pines is a camping ground which is located in the heart of the Adirondacks, in Chestertown, N.Y. They are nestled along the Schroon River which is between the Brant and Loon Lakes. The place makes an excellent spot for river tubing or a relaxing day of fishing and boating. If you want other activities such as hiking or biking then you can also enjoy it at the place because there are trails which are close by. If you do not have the equipment, Rancho Pines NY can supply you with mountain bikes. The place is really near at a lot of local attractions. There are 3 golf courses in the area, a lot of numerous horse ranches and local attractions in the place that will really make you enjoy it! At the River Road Campground you can enjoy acres of natural beauty on the pure Upper Hudson River. It is a largely undeveloped wooded area which will help you appreciate nature more. There is a peaceful country atmosphere at the place, yet they are close to the Lake George and Saratoga attractions. They are offering wooded and grassy tents and also trailer sites. 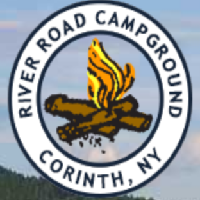 The River Road Campground NY is open from Memorial Day in May through Columbus Day. Small pets are also welcomed in the place, however, they must be leashed by the owner at all times and not left alone at the site. The Tin Teepee is a brand new park which is located on 125 acres of land with a 40 acre beaver pond at the north end of their property. There are a lot of things that you can really enjoy at the place like the ATV trails, canoe rentals, hiking and biking trails, and boat rentals. So you should come and experience the beautiful place of the Adirondack Park in its natural beauty and join in a lot of family activities being held at the Tin Teepee NY throughout the new Adirondack campground. The Tin Teepee Campground is just 20 miles north of the Lake George Village and The Great Escape and Splashwater Kingdom and 60 miles south of Lake Placid. There are a lot of attractions nearby the place so you can enjoy a lot of things at the same time! 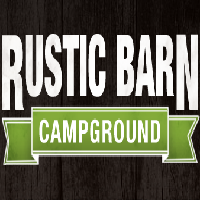 The Rustic Barn Campground is offering great and wonderful things at their campground. All of the activities are very fun and will keep you away from boredom. At the Rustic Barn Campground NY you can enjoy a refreshing swim in the spring fed pond. You can do these activities while your kid is enjoying and playing on the sandy beach. The pond of the Rustic Barn Campground is stocked yearly with trout so better make sure that you bring your fishing poles. The children will also love spending hours at the pond while catching frogs and salamanders. There are also volleyball and badminton nets which are set up next to the beach so the whole family can enjoy the place! Magic Pines is located between historic Lake Champlain and the Olympic Village of Lake Placid in the High Peaks region of the Adirondack Mountains. There are a lot of nearby golf courses, some mountain hiking trails and rock faces at Magic Pines NY. The lake and the brook trout fishing is also available at the place. The area is spectacular especially during fall. Magic Pines is also close to supermarkets and to larger stores to the north of the place. They have everything you will need if you want a pleasant experience and wonderful experience while camping. Niagara Falls is an unforgettable and wonderful place in New York and having to experience camping at the place will surely be a lot of fun! With the help of the Newburgh KOA you will be able to camp safely at the place. You can fish in the Niagara River while having fun with your friends and family. You can also enjoy a train ride from the Newburgh KOA NY to the Fantasy Island amusement park which is just nearby the camping site. At the Newburgh KOA you can enjoy a comfortable stay in one of the cozy room cabins or you can choose the fully furnished Deluxe Cabin which includes full kitchen, air conditioning, bathroom and a lot more! You should come and stay at the Niagara Falls Campground! The place is the closest camping ground to the beautiful and scenic Niagara Falls. 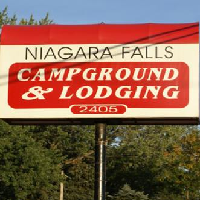 The Niagara Falls Campground NY is just 6 miles away from route 62 to the falls. The place is really conveniently located between a lot of great attractions and great shopping centers in New York. There are services and stores nearby the campground so you can indulge in your daily needs. The Niagara Falls Campground has recently had renovations at their place to add greater service to customers. Some of the things that were renovated are their showers, laundry facilities and restrooms so that they can ensure a comfortable stay.